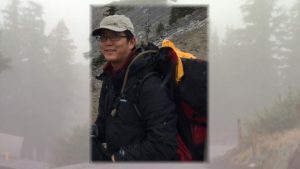 Update (10/11/18 4:54 p.m.) – A body found on Mount Hood has been identified as missing hiker David Yagmourian. Original Story: MOUNT HOOD, Ore. (KGW) – The search continues in the air and on the ground for a missing hiker on Mount Hood in Oregon. A friend says he left 30-year-old David Yagmourian about a mile away from Timberline Lodge. The plan was to meet there, but he never made it. Crews have been searching for Yaghmourian since Monday night. Rescue efforts will resume Thursday.